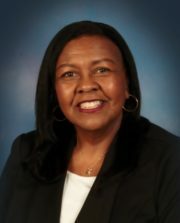 Freda Warren gained her expertise in human resource management during her 26 years of public sector employment for the City of Pleasant Hill. She has experience compensation and classification studies, payroll administration, benefit administration, recruitment and retention, training, labor relations, employee relations, coaching, and team building. Before joining Management Partners she held the position of human resources manager for the City of Pleasant Hill and was part of the executive team for eight years. As the head of the Human Resources division she was responsible for managing all aspects of the division including records management. Prior to her human resources manager role, she held the position of senior human resources analyst.